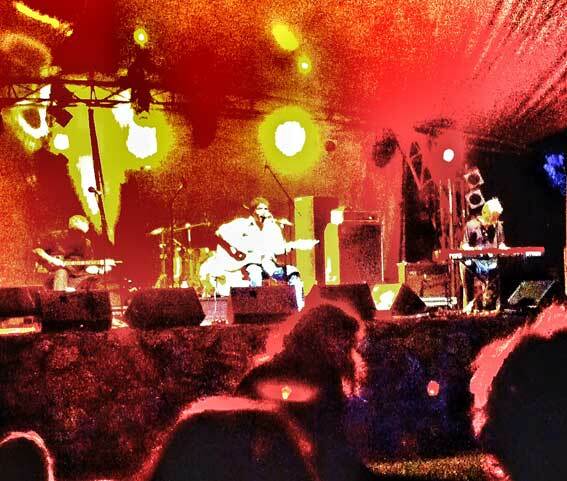 Phil Wales, Frank Yamma & David Bridie on stage at the Nannup Music Festival 2013. Photo by Michael Wearne. 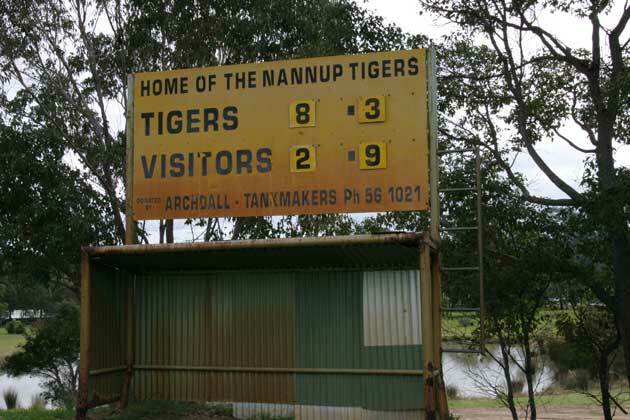 Despite the wonderful scoreboard, there’s no senior team at beautiful Nannup anymore. 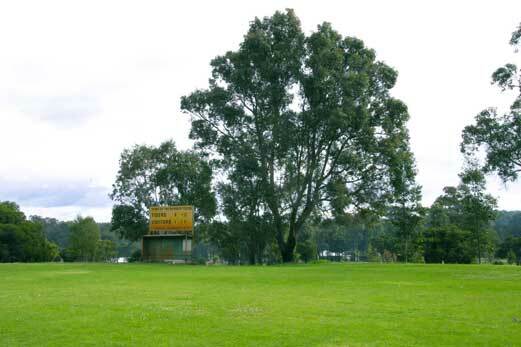 In the 1930s there was a Nannup Football Association and for a while Nannup played in the Lower South West competition. But not anymore. 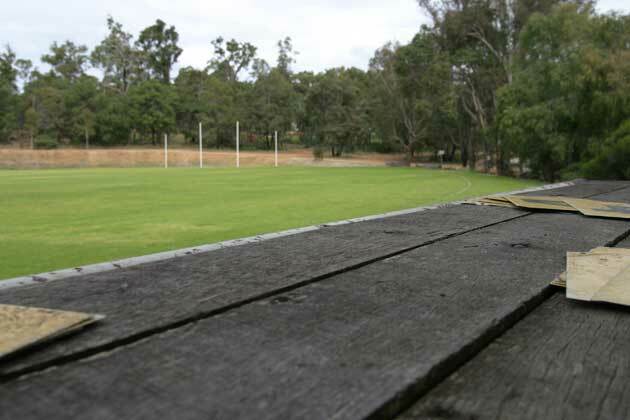 However we shouldn’t be too gloomy about footy in Nannup. There’s a junior team… the Tigers of course… and a Facebook page has been set up to attract prospective senior players. 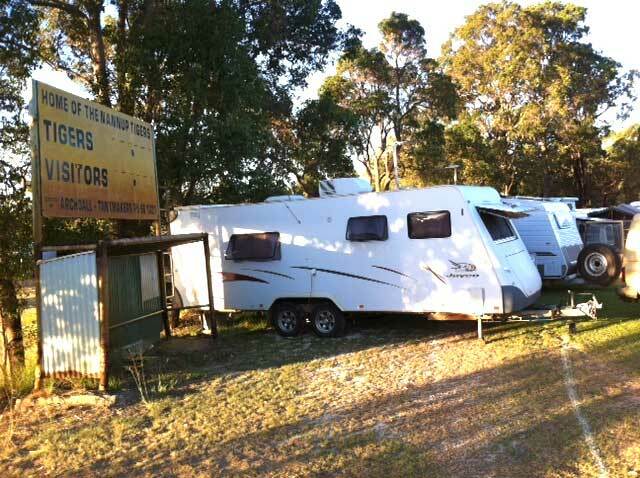 On the Labour Day weekend it’s about music and the annual Nannup Music Festival. 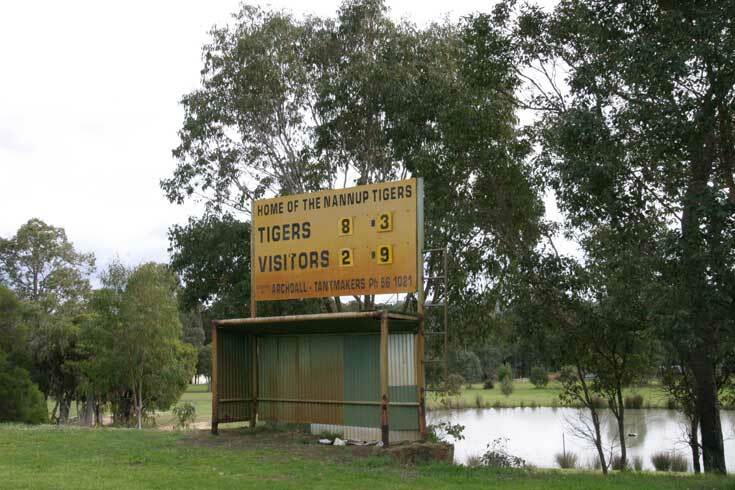 When Michael Wearne headed down for the festival he found that the scoreboard had company. He also caught some music. Tigers overcome by Nomads. Photo by Michael Wearne. Frank (with David and Phil) at the Amphitheatre was fantastic..David and Phil at Town Hall the following night not so good. David unhappy with stage piano provided by organisers.